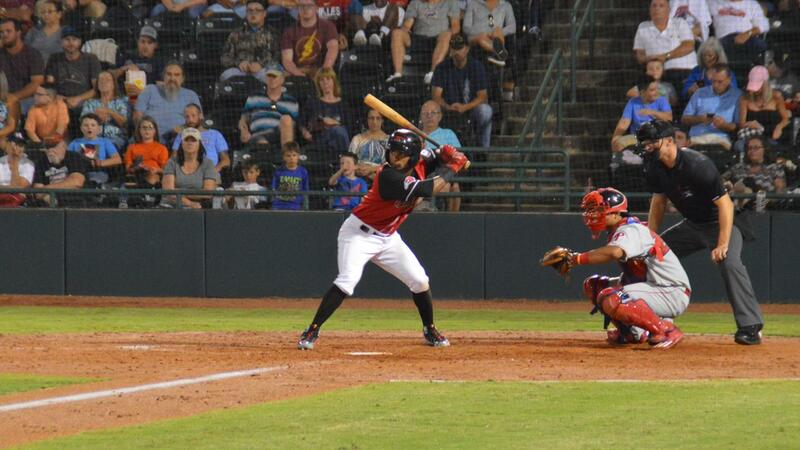 Hickory, NC- The Crawdads lost to the Lakewood BlueClaws 11-2 on Saturday night. The 'Dads will try to even the four game series tomorrow night in the finale. The 'Dads jumped out to an early 1-0 lead in the first inning. Bubba Thompson started the home half of the first with a walk and got into scoring position with his thirtieth stolen base of the season. Yonny Hernandez singled Thompson in with a single in the next at bat. The BlueClaws tied things up with a solo homerun in the second off Crawdads starting pitcher Hans Crouse. The 'Dads wasted no time taking back the lead as Sam Huff started the bottom of the inning with a homerun to left f­­­ield. The homerun was Huff's team-leading eighteenth of the year. The BlueClaws tied the game at two in the fourth inning and took the lead in the fifth inning. They added on to their lead with five runs in the eighth and three in the ninth. The series will conclude tomorrow at 5pm with Church Bulletin Sunday and Wake Forest Night. The first 500 fans in attendance will receive a Wake Forest themed Crawdads hat.